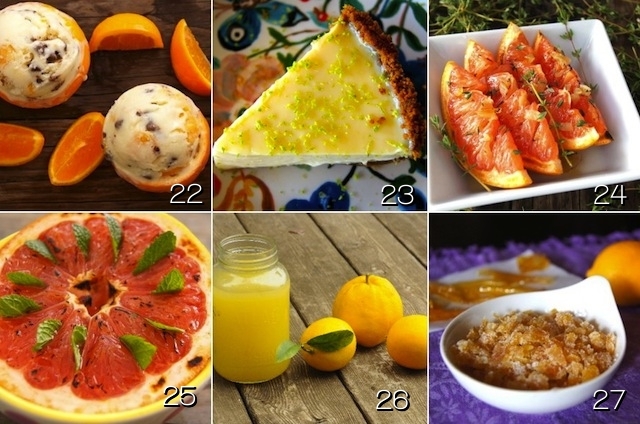 Home » Recipe Roundups » 27 of the Best Citrus Recipes! Be it a Pixi tangerine, a Ruby grapefruit, or a big, plump Sumo, I love juicy, sweet, perfectly ripe winter citrus as much as I do a plum pulled right from its tree in the summer. My absolute favorite way to eat citrus is simply peeled and out of hand. That said, there are so many divine creations to be made with all sorts or lemons, oranges, grapefruits, and so on. From entrées to condiments, to desserts, the possibilities are endless. Just find the number of the image that interests you and follow it to the recipe or article. And those titles that aren’t numbered are more citrus recipes and articles from some other awesome food bloggers. Off you go . . .
2. What are Finger Limes? 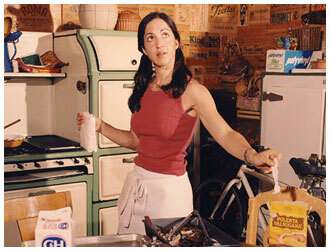 So sorry I missed the call for citrus recipes – you have assembled an incredible collection here! So many delicious ideas, Valentina! You gave me some great ideas for dinner tonight. Can’t wait to eat! What a wonderful collection! The timing is perfect as I sit here in the back garden looking at lemons and limes I must use, also knowing there are wonderful tangelos in the front garden! Happy Citrus Season! So many wonderful ideas with a wonderful fruit.